Earlier today I briefly combed the web for background information on Jared Loughner, the alleged gunman who murdered six people and critically injured Rep. Gabrielle Giffords in Tucson. He shot 13 other people as well. Here’s what I was looking for, because it is almost always there: definite warning signs that he was going to do something like this. We forensic psychology students have dissected similar cases, and almost without exception, there is some rant posted on a social networking site, some odd reg flag behavior, or some letter that signals that the suspect is at their boiling point. Many people are dissatisfied with the government. Many people own guns. Those are not red flags in and of themselves, and I am very pro-Second Amendment because of my own life being threatened with firearms. I mean the illogical diatribes, the specific threats to harm individuals, the mentally irrational hatred that surges through the subject before they go on a killing spree. Sometimes they appear to be saying goodbye. This article from The Australian is exactly what I expected to find. I’ll post the link and text below. If you know of someone who is engaging in this type of behavior, please, contact the authorities. Don’t try to decide on your own if the person is actually capable of carrying out their threats or not. You alerting the police to someone’s creepy Facebook posts or veiled death threats could save lives. The chief suspect in the shooting rampage was a community college student who posted rambling messages on YouTube from his parents’ home in a quiet, working-class area. Last night authorities were unclear whether Jared Lee Loughner, 22, who was arrested at the scene, had a clear political agenda, or was merely a mentally unbalanced young man, perhaps spurred by what the sheriff called “the vitriol that comes out of certain mouths . . . about tearing down the government”. Pima County Sheriff Clarence W. Dupnik said Loughner had “a troubled past” and was known to the police after a number of disruptions at his community college. He had remained mostly silent during a day of questioning. The sheriff said authorities were “not convinced that he acted alone”. A white male in his 50s, who was seen at the scene of the crime, was a “person of interest” and was still being sought. Authorities said Loughner had recently purchased the Glock semi-automatic pistol used in the shootings. He had recently posted five messages in a slide presentation on YouTube. The topics included a proposal for a new world currency and references to the number of illiterate people in “District 8″, his congressional district and the one represented by Ms Giffords. One message, apparently posted in the past fortnight, was labelled “My Final Thoughts: Jared Lee Loughner!” In the disjointed missive, he says he “can’t trust the current government because of the ratifications: the government is implying mind control and brainwash on the people by controlling grammar”. Loughner describes himself in the third person as “a US military recruit at MEPS (Military Entrance Processing Station) in Phoenix”. CNN reported that Loughner had applied for the military but had been rejected. On his MySpace page, Loughner described his “favourite interest” as reading and said he had studied grammar and “conscience dreams”. Among the books he listed as his favourites were Animal Farm, The Wizard of Oz, Gulliver’s Travels, Mein Kampf and Plato’s Meno. “Every time I saw him he was by himself,” said Bert Escovar, 71, a neighbour. Lynda Sorenson, who had taught Loughner at the community college, told the Arizona Daily Star he was “obviously very disturbed. He disrupted class frequently with nonsensical outbursts,” she said. High school classmate Grant Wiens, 22, said Loughner seemed to be “floating through life” and “doing his own thing”. In October 2007, Loughner was cited in Pima County for possession of drug paraphernalia. Personal details about Jared Loughner are still emerging. 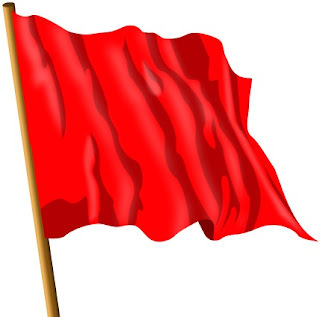 Drew Zahn posted this piece that lists further red flags in Jared Loughner’s behavior. His mug shot is all over the news now, and I find it extremely disturbing. When I saw it I wondered, “is there a human being left in there?” Zahn’s article sheds some more light on what led up to this mass murder. This just keeps getting more disturbing. It is being reported that Loughner worked for Giffords' campaign twice, and she may have even been aware of his creepy YouTube channel, possibly even as a subscriber. Heidi, thanks for your insightful article. We benefit by any form of social or psychological profile that can come out of such a tragedy as we experienced last week in Tucson. Here is what I find as imponderable, perhaps even problematic. Following acts of violence by deranged persons such as Loughner, we obtain a wealth of material describing the type or person the perpetrator is or was. But the keyword is "following." I don't want to take anything away from your excellent article, but I'd ask you to consider something that may sound like it's off the wall. This is more than merely hypothetical, which should be frightening. There's a man, we'll refer to him as John Doe, who is going to go on a rampage and kill a prominent figure in the next 24 months. Will you research the halls of academic institutions, YouTube videos, neighborhood watch groups, rap sheets, etc. and construct a list of individuals who could be that John Doe? At the same time, would you do the same to put together a list of those who could qualify as Jane Doe as well? Even as I write this, I find myself torn. On one hand I'm sad about the impossibility of pursuing such a goal, and on the other I'm tantalized at the prospect of such a proactive accomplishment. Charles, I know what you're saying, and I don’t think we disagree. Civil liberties are nothing to mess with and we can't get into the business of creating a criminal justice system like the Tom Cruise movie "Minority Report." My main point is that these people tend to give themselves away through bizarre, aggressive, and attention-seeking behavior that begs for others to notice them. You don't usually have to go looking for this particular type of killer; they start doing things to attract attention. They are often people who want to be feared or feel powerful because they see themselves as having been rejected or ignored. Their behavior often rises to a level to which the criminal justice system-- or social services-- is obligated to investigate or intervene to protect public safety. One could argue that it's unnecessary to make a list like you suggested, because if potential killers' families, neighbors, classmates, etc. were familiar with the signs of an impending mental breakdown or violent act, these people could be reported to authorities before they take lives. They might not have done anything they could be arrested for (although death threats are a felony in my state), but they could be put on law enforcement's radar screen, or be referred to mental health resources. Anyone can keep documentation of the person's behavior. Most importantly, others could be warned about the possible danger, even informally. To an extent this already worked; Loughner's community college did the right thing when they told him not to come back without a clean bill of mental health. His classmates were living in fear that he'd walk in and start shooting. I watched his creepy YouTube videos, and it was clear that he had a glaring issue with that college that manifested in an irrational way. It is rare that a person committing a crime of this type doesn't leave a note, issue their final farewells, or post an internet-based "manifesto". The whole point may be to become a martyr for their cause or make an unforgettable statement that will destroy others for the pains they believe they have suffered. I am no fan of government policies that limit millions of people's freedom to weed out a few. The antidote to witch hunts and unnecessary lists is profiling, because profiling can key in on specific behaviors and traits that can identify one suspect in a million. Israel's airports have employed behavioral profiling for a long time without inconveniencing their citizens, and it's worked. The bottom line is that when you know the red flags, whether as an associate, friend, family member, cop, or profiler, you don't have to see everyone as a suspect. The suspects begin to stand out of their own volition.